Kelly Newton, owner and president of Newton’s Jewelers in Fort Smith, Ark., received the Robert M. Shipley Award from the American Gem Society (AGS). An Arkansas-based jeweller has been presented with the American Gem Society’s (AGS’s) most prestigious honour, the Robert M. Shipley Award. 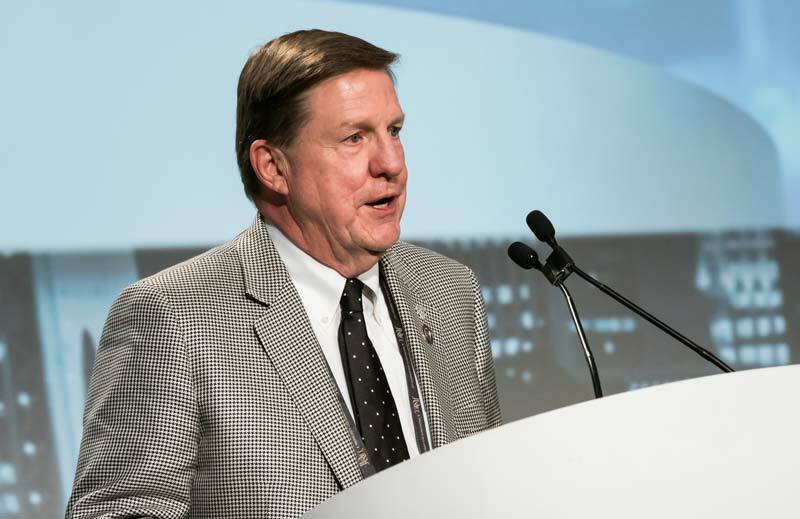 Kelly Newton, owner and president of Newton’s Jewelers in Fort Smith, Ark., received the award at the society’s annual conclave in Seattle, Wash. A member of the AGS for 25 years, Newton has served on the group’s board of directors since 2010 and as chair of the membership committee since 2014. He has also served as chair of the society’s grievance and review committee for the past seven years.